CENTENNIAL, Colo. & SAN FRANCISCO--(BUSINESS WIRE)--Arrow Electronics, Inc. (NYSE:ARW), the global technology company providing products and solutions that guide innovation forward, and Indiegogo, the global platform for entrepreneurs to bring their ideas from concept to market, today launched their groundbreaking crowdfund-to-production service, which is aimed at accelerating the pace of innovation for technology and internet of things (IoT) entrepreneurs. 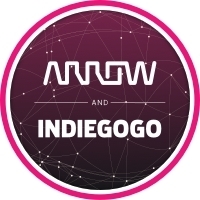 Every “Arrow Certified” campaign on Indiegogo that meets certain eligibility criteria can compete to receive a share of $1 million in flash-funding that Arrow will give away to 20-50 campaigns during the next 12 to 15 months (for full funding details and rules, please visit https://www.arrow.com/indiegogo/terms-and-conditions). Arrow and Indiegogo formalized an alliance in May after Indiegogo entrepreneurs had been increasingly turning to Arrow and Arrow.com to help transition innovative ideas into successful commercial products. Arrow is now a key component of Indiegogo’s efforts to support the entire product lifecycle for entrepreneurs on the platform. To celebrate the official launch of the groundbreaking the Arrow-Indiegogo crowdfund-to-production service, Arrow is giving away a free Raspberry Pi 3 single-board computer (approximate retail value of $34.99) with every purchase of $100 or more on Arrow.com today and tomorrow. Full offer details are available at https://www.arrow.com/en/research-and-events/articles/raspberry-pi-promo-details. 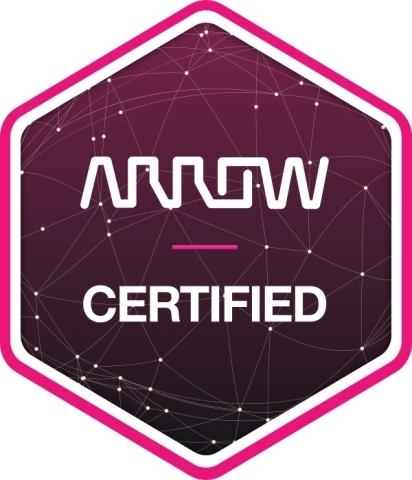 *The Arrow certification program on Indiegogo is open to individuals 18 years and older and companies meeting certain residence and other restrictions. Certification program period: August 25, 2016 to December 31, 2017. Sponsor: Arrow Electronics, Inc., 9201 E. Dry Creek Rd., Centennial, CO 80112. Details and complete rules available at https://www.arrow.com/indiegogo/terms-and-conditions. Arrow Electronics is a global provider of products, services and solutions to industrial and commercial users of electronic components and enterprise computing solutions. Arrow serves as a supply channel partner for more than 100,000 original equipment manufacturers, contract manufacturers and commercial customers through a global network of more than 460 locations serving over 85 countries. Learn more at www.arrow.com and www.fiveyearsout.com. Indiegogo is the place for entrepreneurial projects to move quickly from concept to market, amplified by a community of backers who believe the world benefits when every idea gets an equal shot at success. Indiegogo empowers people to unite around the ideas that matter to them and together make those ideas come to life. As the world’s first crowdfunding platform, campaigns have launched from almost every country around the world with millions of dollars being distributed every week due to contributions made by the Indiegogo community. The company was launched in 2008 and is headquartered in San Francisco, with offices in Los Angeles and New York. For more information, visit Indiegogo.com and follow us at Twitter.com/indiegogo and Facebook.com/indiegogo. Arrow Electronics and Indiegogo today launched their groundbreaking crowdfund-to-production service aimed at accelerating the pace of innovation for technology entrepreneurs.